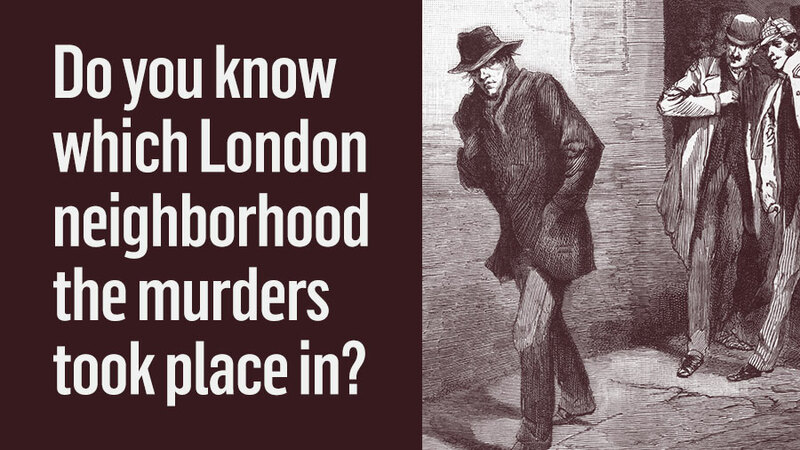 Do you know which London neighborhood the murders took place in? Whitechapel! All the murders happened within a mile area in the East End London neighborhood of Whitechapel. 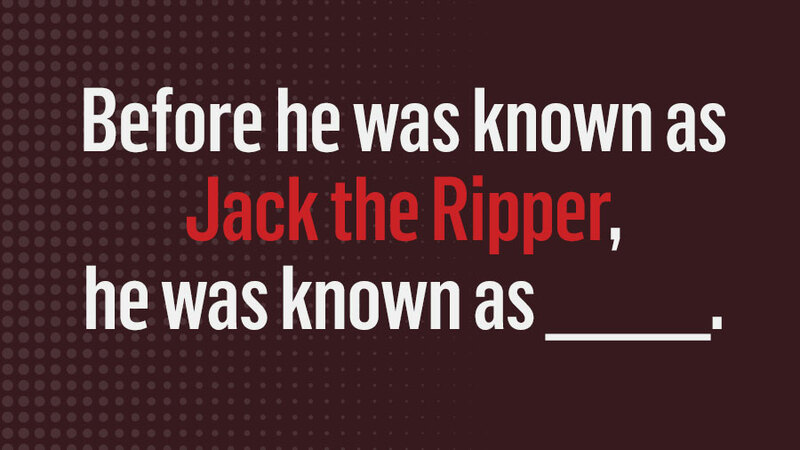 Before he was known as Jack the Ripper, he was known as ________. Leather Apron! When the murders first started, the press referred to him as Leather Apron. 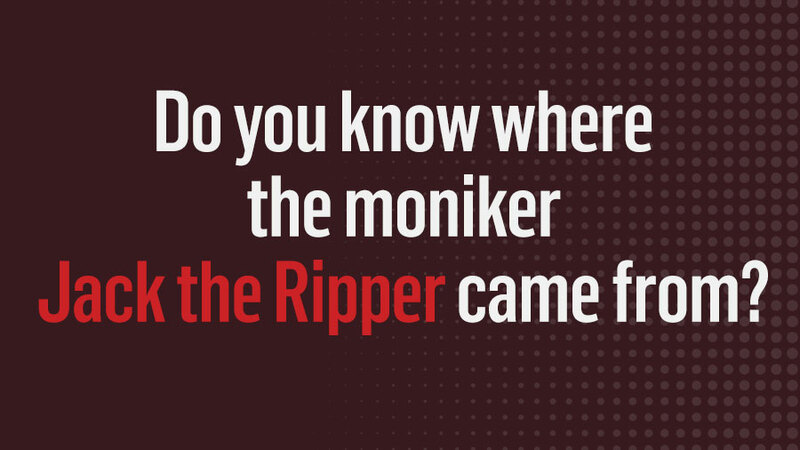 Do you know where the moniker Jack the Ripper came from? Himself! In the height of the murders, the Central News Agency received a letter signed Jack the Ripper. 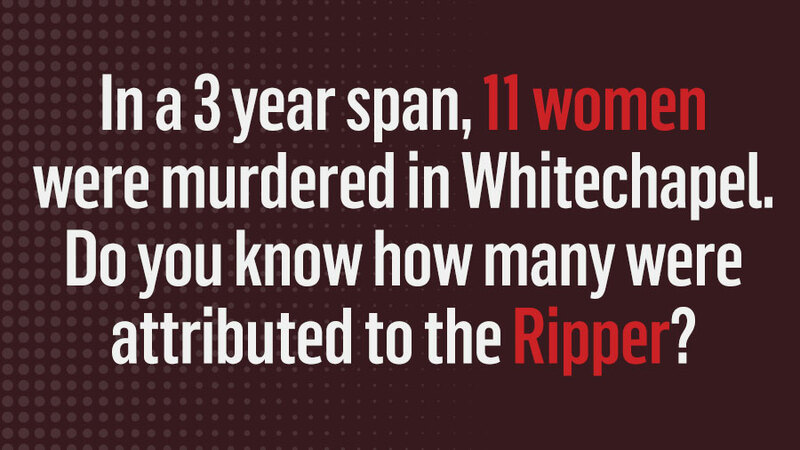 In a 3 year span, 11 women were murdered in Whitechapel. 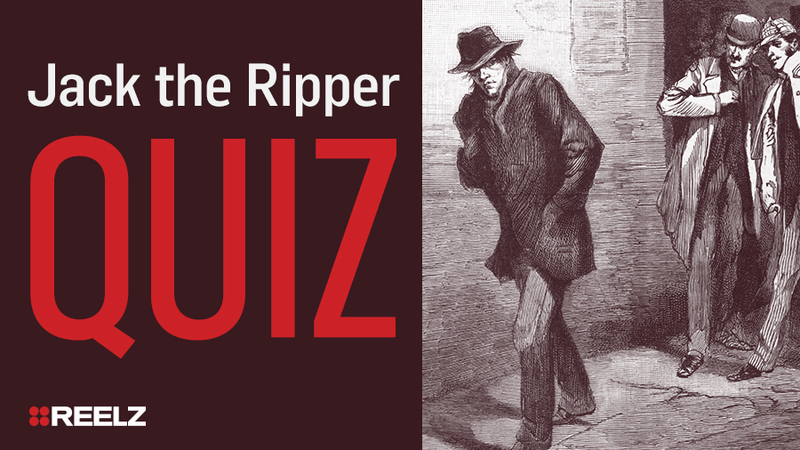 Do you know how many were attributed to the Ripper? 5! They are referred to as the canonical five. The other murders in the area were not attributed to Jack the Ripper because they didn't match his violent M.O. This 19th century author was once accused of being Jack the Ripper. Lewis Carroll! He was never suspected by police, rather by another author. 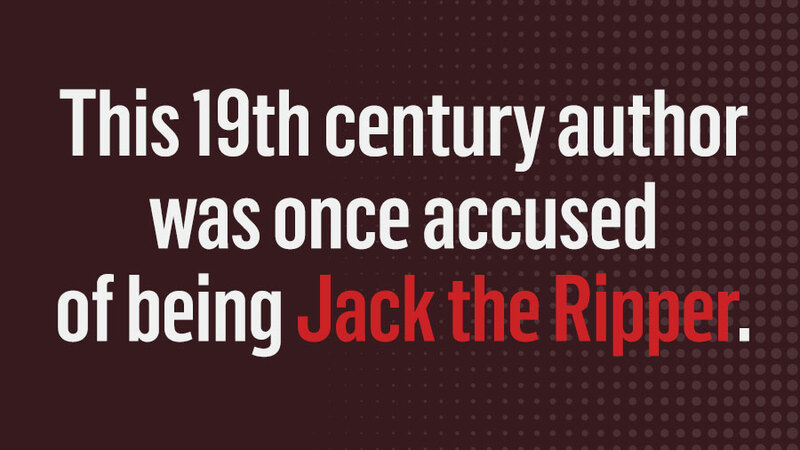 The 1996 book Jack the Ripper, Light-Hearted Friend by Richard Wallace proposed the theory that Carroll left secret clues and details about the murders in his books. Carroll is probably the most famous person added to the suspect list, but he is not taken seriously as a suspect. You're a true crime aficionado! Do you love quizzes? Visit REELZ.com every week for a new quiz that will put your knowledge to the test! You'd make a great armchair detective! You've learned at least 1 new thing today, right?